Radmin VPN is a free and easy-to-use software product to create virtual private network (VPN) for different needs. The program allows users to establish a secure connection between computers over the Internet as if they were connected over a LAN. 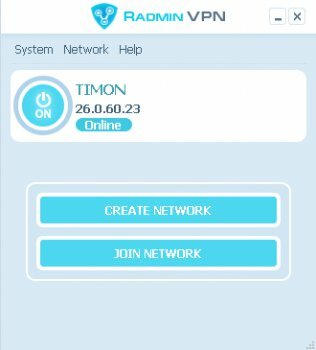 Free Radmin VPN does not limit the number of users. The connection speed is up to 100Mbps.Thanks to high speed of Radmin VPN you will not see the difference - you will work with your programs or play your favorite games as if you were in the LAN.